Improve your skills and speed up your workflow with these 120 expert Photoshop tips, tricks and fixes covering brush tools, layers, shortcuts and more. Whether you're looking for tips on using layers, advice on mastering the pen tool, a guide to using RAW, or ways to improve your brush work, it's all here! And if you've just got hold of Photoshop CS6, then you'll have plenty to get your creative gnashers stuck in to! You can make amazing kaleidoscopic patterns with the help of a keyboard shortcut. Cmd/Ctrl+Shift+Alt+T lets you duplicate a layer and repeat a transformation in one go. To demonstrate, we’ve made a narrow glowing shape by squeezing a lens flare effect, but you can use any shape, image or effect you like. First, make an initial rotation by pressing Cmd/Ctrl+T and turning slightly, then hit Enter to apply. Next, press Cmd/Ctrl+Shift+Alt+T repeatedly to create a pattern. There’s a really easy way to overlay an image on top of text. Drop an image layer over a type layer then hold down Alt and click the line between the two layers in the Layers Panel to clip the image to the text. When zoomed in close, hold down H and drag in the image to instantly dart out to full screen then jump back to another area. One of the best Photoshop tips for viewing work! You can Alt-click on the Layer Mask icon to add a full mask that hides everything on the layer. Hold down Alt to start a selection at the centre point with any Marquee tool, and then hold Space to temporarily move the selection around. Want to change the default grey background to something more funky? Shift–click over the background area with the Paint Bucket tool to fill it with your foreground colour. Right-click it to go back to grey. Go to Edit>Preferences>Performance to change the number of History states up to a maximum of 1000. Beware though of the effect that this has on performance. Use colour coding to organise your Layers Panel. Right-click over a layer’s eye icon to quickly access 8 colour code choices. To close all of your documents at the same time, Shift-click any image window’s close icon. While using any tool, hold Cmd/Ctrl to temporarily switch to the Move tool. Release to go back to your original tool. Note that spring-loaded keyboard shortcuts work for other tool shortcuts, too. For interactive zooming, hold Cmd/Ctrl+Space then drag right to zoom in, or left to zoom out. The zoom targets where your mouse icon is, so it’s one of the quickest ways to navigate around an image. Hold down Cmd+Alt and drag any layer to instantly make a copy. The Diffuse Glow filter can give highlights a soft ethereal feel, especially when you combine the effect with desaturation. Hit D to reset colours then go to Filter>Distort> Diffuse Glow. Keep the effect fairly subtle, then go to Image>Adjustments>Hue/ Saturation and drop the saturation down to complete the dreamlike effect. You probably know that Cmd/Ctrl+Z is Undo, but you may not know Cmd/Ctrl+Alt+Z lets you undo more than one history state. Shift + or – will cycle through different layer Blend Modes, so long as you don’t have a tool that uses Blend Mode options settings. Converting a Layer Style to a normal pixel-based layer gives you greater control to edit the contents. To do so, add a style then right-click Effects and choose Create Layer. If you’re working with multiple layers and you want to view one layer on its own, there’s no need to hide all the others manually, simply hold down Alt and click the Eye icon of a layer to make every other layer invisible. Hold down Alt and click again to reveal them. After adding any Adjustment Layer, hit Cmd/Ctrl+I to invert the Layer Mask and quickly hide the effect, then paint back over the image with white to selectively reveal the adjustment. You can move either a mask or an image independently of one another by clicking the link between the two thumbnails in the Layers Panel. Highlight the thumbnail you want to reposition, then grab the Move tool. Always use Adjustment Layers rather than directly editing a layer. This gives you three advantages: you can edit it at any time, control the strength with Opacity, and use a mask to make it work selectively. When using the Move tool, right-click over a point in the image for a list of all the layers you’re hovering over. The Layers Panel is the most important box in Photoshop, so you’ll want to make sure it’s set up properly for your needs. Choose Panel Options from the Fly-out menu to select different thumbnail sizes and content. You can move layers up or down the stack in the Layers Panel while watching the image change. Hold down Cmd/Ctrl and press ] or [. Add in Shift to move a layer right to the top or bottom. selection with the Foreground colour, Cmd/Ctrl+Backspace to fill a layer or selection with the Background colour, or Shift+Backspace to quickly access the Fill Options. A new layer filled with 50% grey is useful in lots of situations. For example, you can dodge and burn with it, add texture, or manipulate a Lens Flare effect, all in a completely non-destructive way. To create a 50% grey layer, make a new layer then go to Edit>Fill, then set the Blend Mode to Overlay. Layer Groups are incredibly useful, but don’t bother clicking on the Layer Group icon, as you’ll have to add layers to the new group manually. Instead, you should highlight several layers and either drag them to this icon or alternatively hit Cmd/Ctrl+G. To apply a change of font or size to multiple type layers at once, hold down Cmd/ Ctrl and click the layers in the Layers Panel to highlight them, then simply select the Type tool and change the settings in the Options Bar. Hold down Alt and click a Layer Mask thumbnail to toggle between a view of the mask and the image. Hold down Shift and click to turn the mask on or off. layers, highlight one of them and then go to Select>Similar Layers. simply by pressing a number key. Hit 1 for 10%, 5 for 50%, and 0 for 100%. You may be familiar with Color Range in the Select drop-down menu. But did you know that you can access a similar command through the Color Range button in the Masks Panel? (Window>Masks). This allows you to quickly make a mask by sampling colours, which can be used for making a quick spot colour effect. Open a portrait image and a generic fire image, then grab the Move tool and check Auto-Select Layer and Show Transform Controls. Drag the fire image into the girl image to copy it in, then change the Blend Mode of the layer to Screen. Click the bounding box to transform the fire layer, then resize, rotate and position the layer. Right-click while in Transform mode and choose Warp to wrap the fire around the body. Hit Cmd/Ctrl+J to copy the fire layer and transform again to build up the effect. Almost all tools have a contextual menu that’s accessed with a simple right-click. This usually gives you the tool’s major controls and a few handy shortcuts. As well as the tool you have active, where you right-click affects the menu, too. For example, a right-click over a layer thumbnail or mask thumbnail gives different options. zoom in or out will speed up your workflow more than anything else. Use Cmd/Ctrl and + to zoom in, Cmd/Ctrl and – to zoom out. Hold the space bar to temporarily access the Hand tool and drag around the image. With any selection tool, hold Shift to add to an existing selection and Alt to subtract from it. Shift+Alt together allows you to intersect selections. Cut and paste a selection to a new layer and Photoshop will place it in the middle of the screen. If you want to paste it to a new layer, but keep the position the same, use Cmd/Ctrl+X to cut and Cmd/Ctrl+Shift+V to paste in place. Similarly, you should hold down Shift while dragging layers between documents with the Move tool to keep the same position. Press Cmd/Ctrl+H to hide or reveal a selection’s ‘marching ants’ line. Cmd/Ctrl+Shift+H does the same for a Path line. Use the Cmd/Ctrl+click shortcut on any layer thumbnail, mask thumbnail, Channel or Path to load its shape or contents as a selection. button to temporarily switch to the Polygonal Lasso tool. The Rectangular Marquee tool has a useful ‘Style’ setting in the Options Bar that lets you make a selection at a fixed ratio or size. This is helpful if you want to select a specific area to use as a wallpaper or for web pages. You can transform a selection in just the same way as a layer. Just go to Select>Transform Selection. Right-click to choose from familiar transform modes like Skew and Warp. If you're new to the Pen Tool, this is one of the best Photoshop tips out there! As a new user it can be frustrating when plotting anchor points, as often you’re not entirely sure how your next curve will behave. There’s a useful feature hidden in the Options Bar that can be a godsend for beginners. Click the ‘Geometry options’ drop-down (next to Auto Add/Delete) and check Rubber Band. Now, as you use the Pen tool you’ll see an interactive preview of your next curve before you add it. A little-known feature of the Crop tool allows you to hide, rather than delete cropped areas. To do this, you’ll need to make the Background Layer editable first, so double-click it then hit OK. Next, grab the Crop tool and drag a crop window, then instead of applying the crop, check Hide in the Options. Now you can re-crop at any time by dragging outside the window to reveal the previously cropped areas. When using the Pen tool, hold down Cmd/Ctrl to temporarily switch to the Direct Selection tool. This lets you move anchor points and control handles. To add a point, hover over the existing path line and the Pen tool will automatically change to the Add Anchor Point tool. Remove handles from a point and make it into a sharp angle by Alt-clicking over it. Turn any active selection into a path by clicking the ‘Make Workpath from Selection’ icon at the bottom of the Paths Panel. Add handles to a point by holding Alt then dragging outwards from the point. Once you’ve made a path with the Pen tool, right-click for lots of options, including Make Selection, Fill Path and Stroke Path. For a magnetic Pen tool that behaves just like the Magnetic Lasso tool, choose the Freeform Pen tool from the Tools Panel then check ‘Magnetic’ in the Options Bar. Go to Window Channel then drag the Blue Channel to the New Channel icon to duplicate it. Hit Cmd/Ctrl+L to access Levels, then drag the white and black point sliders in dramatically to make the sky totally white and the land black. Now use the Brush tool and paint with black to tidy any bits in the land. Hold Cmd/Ctrl and click the Blue Copy Channel to load a selection of the white areas. Click back on the RGB Channel then go to the Layers Panel and add a Curves Adjustment Layer. The selection is automatically turned into a mask. Drag down on the curve to darken the sky. For tablet owners, Adobe Eazel is both fun and a serious painting tool. Finger-painted brush strokes have a fluidity that’s difficult to create on a computer. Wireless transmission between tablet and Photoshop streamlines the painting process. When using a non-circular brush, you may find the need to change the angle of the brush tip. To do this, click the Brush Panel in the Options Bar then highlight Brush Tip shape and drag the circle to change the angle of the brush. You can also flip it horizontally or vertically with the check boxes. Clone around corners by rotating a clone source. To do so, use Shift+Alt+ < or >. It helps if you have Show Overlay checked in the Clone Source Panel, so that you can see the rotation. The Bevel and Emboss filter is often used by digital painters to make brush strokes look like ridged layers of paint. Merge a copy of all the layers, then set the Blend Mode to Overlay and apply the Bevel and Emboss filter. When using the Brush tool, hold down Alt and the right mouse button for a preview of the Brush tip’s size and hardness. Drag down and up to increase or decrease hardness, and drag right or left to change the size. Photoshop tips don't just come in the form of shortcuts. When painting, it’s often easier to rotate the canvas rather than try to bend your wrist into an uncomfortable position. Just as a sketcher would angle a piece of paper, you can angle your canvas by holding down R then dragging it around. Release R and you’ll flip back to your original tool. To revert back to normal, hold down R and click Reset View in the options. Smudge tool, fill a layer with an off-white tone, duplicate the Background Layer and set it at the top of the stack, with Opacity at about 13%, then highlight the Smudge tool, check Sample All Layers, and start painting. It’s that simple. As a finishing touch, you can make your paintings look much more authentic by adding a paper texture. Copy a texture on top of your image, then experiment with Blend Modes and Opacity until you get the right effect. The Darken or Multiply modes will usually provide you with good results. To draw a straight line with the Brush tool, hold down Shift and then click two points. colour and then set it as your Foreground colour. Press Caps Lock to switch your cursor to a crosshair. Use , and . to cycle left or right through the brushes in the Brush Preset Picker. instantly to the Dodge tool. If you’re into digital painting, but don’t own a graphics tablet, you’re missing out on a whole new world of creativity. There are plenty of good, entry-level tablets available, but if you want mid-range features that include multi-touch input, treat yourself to a Wacom Intuos 5. As you probably know, the ] and [ bracket keys change your brush size, but you can also use Shift+ ] or [ to change the brush hardness. When using the Brush tool, press any number between 0 and 9 and the Brush Opacity will set to it. 1 for 10%, 9 for 90%, 0 for 100%. Press Shift and a number to adjust Flow. The following Photoshops tips focus on Camera Raw. To quickly batch process a group of images, open them all in ACR (the easiest way to do this is through Adobe Bridge) and then click Select All. Now, any changes you make to one image will be applied to all the open files. Hold down Shift in ACR and the Open Image button switches to Open Object. Now the file opens as a Smart Object, which means you can double-click the layer thumbnail in Photoshop to go back and edit the layer in ACR. The Masking slider in the Detail Panel lets you control which areas of an image are sharpened, but it’s impossible to judge unless you hold down Alt as you drag. This displays a greyscale view, in which black areas are protected from sharpening, enabling you to isolate the sharpening to edge areas. Double-click any slider to reset it to 0. If you click once, then the slider jumps to the point you’re over. So if you keep the mouse still, you can single-click, then double-click over a point for a quick ‘before and after’ view of any adjustment you’ve made. Square crops can help to make your images stand out from the crowd. For a list of different crop ratios, hold down the mouse button over the Crop tool. Remember, like everything else in ACR, cropping is non- destructive, so you can try out different ratios and adjust the crop at any time. It’s always best to adjust exposure before you move on to colour correction. The Adjustment Brush is perfect for selective toning in ACR. The brush works by setting pins, each linked to a painted mask that specifies the area you want to tweak. You’ll need to view the mask when painting, and hide it when using the sliders to adjust the area. Hit Y to switch the view of the mask on or off. When painting with the Adjustment Brush, hold down Alt to erase parts of the mask. Deep blacks give an image extra punch, so it’s okay to clip the blacks a little. For deep blacks, drag the Black point slider inwards while holding down Alt until a few dark spots appear. Hold down A and drag a line to straighten your images. Hold down Alt while dragging the Exposure, Blacks or Recovery slider to see any clipped pixels, or click the icons at the top right and left of the histogram to see them all the time. Make the most of your screen size by hitting F to switch the ACR display to Full Screen Mode. Looking for Photoshop tips to view images in interesting ways? Look no further. All you need to do is hit Cmd/Ctrl+B to see your images in a snazzy 3D carousel. Scroll through the images with the left and right arrow keys and hit down to remove an image from the view. You can copy ACR treatments from one file to another in Bridge. Right-click any file with the circular ACR icon, then go to Develop Settings>Copy Settings. Right-click another file (or hold down Cmd/Ctrl and click to select more than one) then choose Paste settings. Stacks can help you keep your workspace tidy and easier to navigate by grouping similar images together. Select a group of files (hold down Shift and click the first and last) then go to Stacks>Group as Stack. Raw files open automatically into ACR, but you can open JPEGs and TIFFs, too, by right-clicking them and choosing ‘Open in Camera Raw’, or simply hit Cmd/Ctrl+R. You can load a group of images into layers of a single document by going to Tools> Photoshop>Load Files into Photoshop Layers. Open an image in ACR, then click the Tone Curve Panel. Drag all the points off the curve to delete them, then make one single point in the middle. 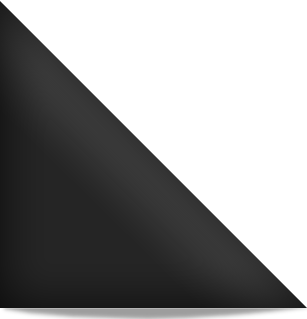 Drag this down, then drag the bottom left of the curve to line up to the top, making an inverted cone shape. Click the HSL/Greyscale Panel and check ‘Convert to Black and White’. Use the sliders to tweak the black and white conversion. If you want to add some colour, go to Split Toning and adjust the sliders to add colour to the shadows and highlights. One of the top mono Photoshop tips! You can create a brush tip from any image you like. Simply convert to monochrome, then make a selection and go to Edit>Define Brush Preset. Only dark parts are recorded; any parts that are pure white aren’t included in the brush tip. So if you want the shape of the brush to be clear, you need to isolate the object or shape against a white background. If you want to turn a photo into a painting, adding sketch lines can make the effect look more realistic. To do so, duplicate your layer then go to Filter>Stylise> Glowing Edges, then invert the colours, desaturate and use the Darken or Multiply Blend Mode. different brush effects and settings. The best way to find out how it works is to grab the Brush tool, choose a colour, open a new document and start painting. To take the above tip further, try painting on different layers and use different Blend Modes, or add Layer Style effects to your painted layer. Load up a generic portrait image and then load the Square Brushes from the Brush Picker drop-down menu. Select a square brush, then open the Brush Panel and use these settings: Brush tip shape: Spacing 631%. Shape Dynamics: Size, Angle, Roundness Jitter – all 100%. Scattering: Scatter 638%, Count Jitter 50%. Colour Dynamics: Foreground/ Background Jitter 20%, Saturation Jitter 20%. Brightness 30%. Use the Lasso tool to select the girl then hit Shift+Backspace and choose Fill: Content-Aware. Hold down Alt and click the Add Layer Mask icon then set Foreground colour to white and paint on the mask over the girl to hide parts of the body. Next, add a new empty layer and hold down Alt to sample colours from the girl, then paint to add coloured fragments. Add a second new layer, paint larger strokes, then blur slightly with Filter> Gaussian Blur. We hope you enjoyed these Photoshop tips!